1 boy's short pants : wool ; 15.5 in., inseam 6.5 in. 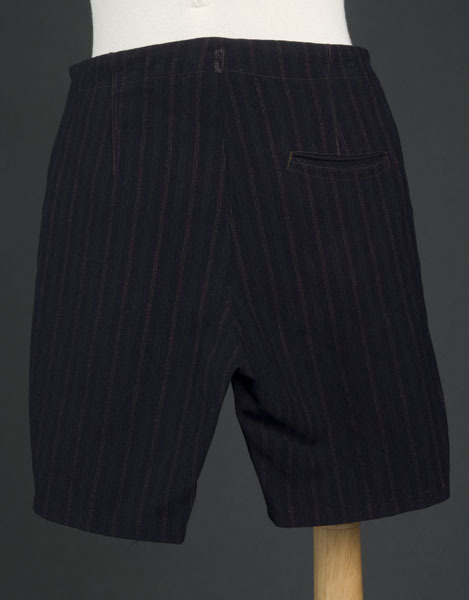 Black wool boy's hetchi pansu (button-on pants), or shorts, with red and green pinstripes and six handmade buttonholes along waist (one in center front, one in center back and two on each side at overlapping placket). There are no buttons. Inseam side pockets on each side and one welt pocket on proper right back. 3 in. fly opening located in the front center seam. Leg opening at bottom of shorts is 6.75 in. 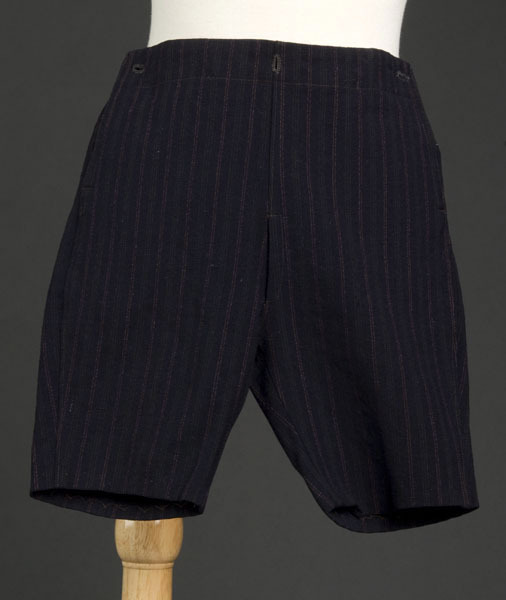 Hetchi pants, or button-on pants were attached to buttons sewn at shirt waistline, making the outfit adjustable as the child grew (see Barbara Kawakami book, p. 166-167).